Please click on any thumbnail picture below to see the full size picture. 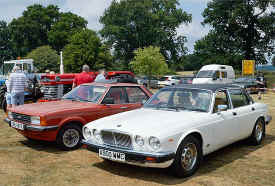 Photos by Malcolm Bailey. 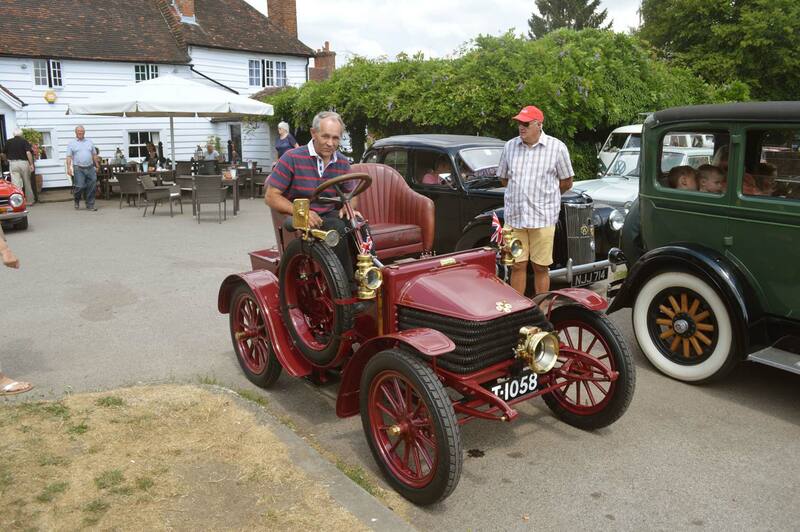 Drivers in their classic and vintage cars assembled at the Plough in Leigh. 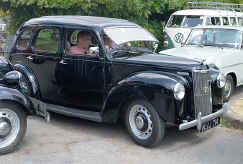 Please Click on the photos above to see full SUPERSIZE details ! 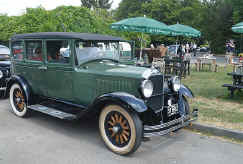 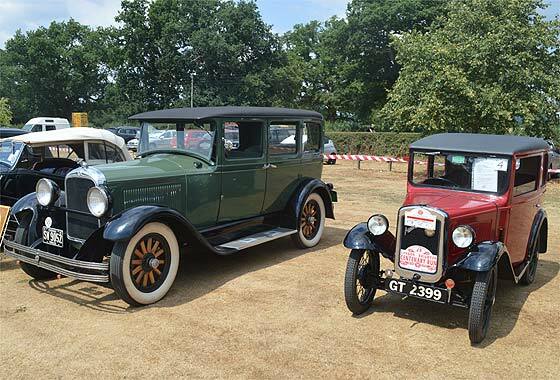 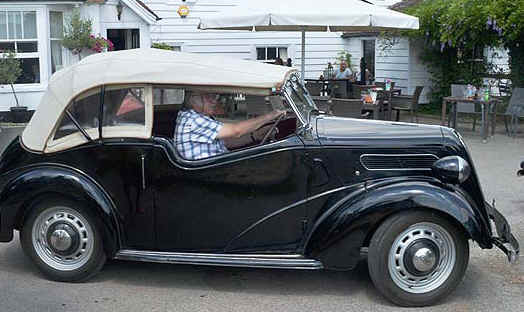 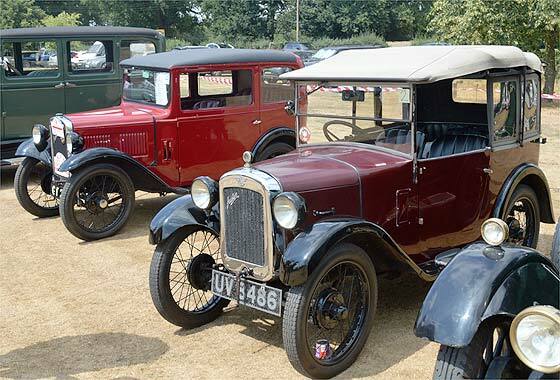 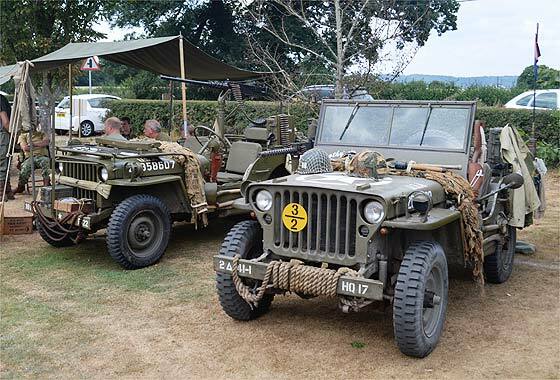 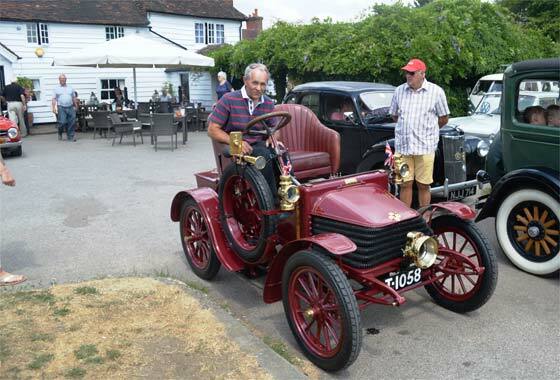 Once fed and watered, the participants drove in a parade to the Leigh Cricket Club ground a couple of miles away where there was a formal car display.. 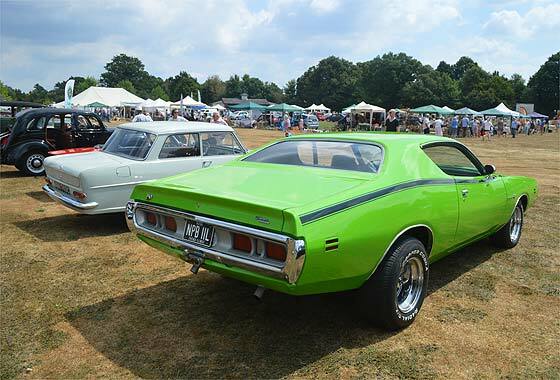 Please Click on the photo below to see full SUPERSIZE details ! 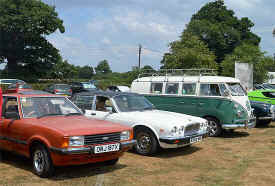 "Perfect Day", wrote the poet and songwriter Lou Reed in 1972, and it certainly was when the SVVS visited this lovely, quintessentially British little show. 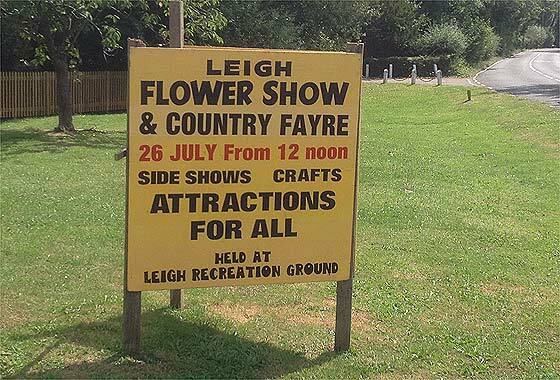 I absolutely love events like this, the sun shone, stands and stalls manned by the great and the good, jam making, cream teas, ice creams, country crafts, wood carving, beekeeping, folk arts, animal rescue organisations, tombolas, all accompanied by the gentle tootling of a brass band, and in the background the rhythmic popping of a row of vintage stationary engines; children clutching hand made fluffy toys, mums snapping up a huge range of locally grown garden plants and flowers while the dads eagerly eyed up the beer tent! Punch bashed up Judy to squeals of delight from the many enthralled children; no such thing as political correctness in a Punch and Judy show, thank goodness! 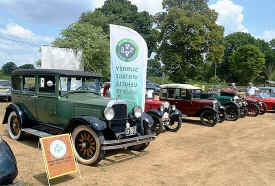 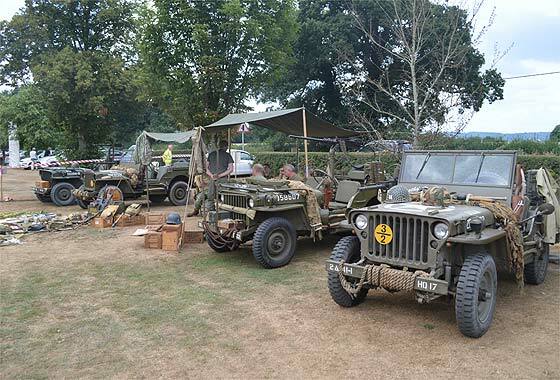 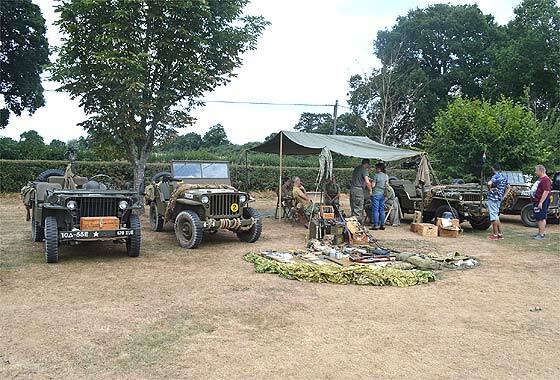 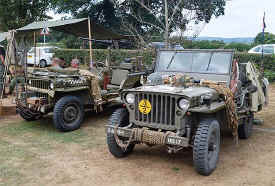 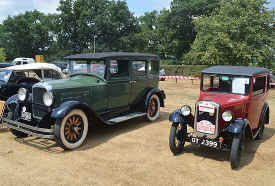 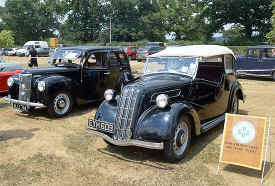 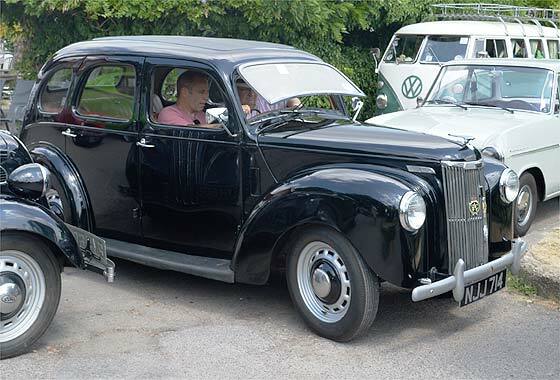 By kind invitation of our club member Colin Dawson, ably assisted by Alan Croft, the SVVS exhibited a good range of vehicles. 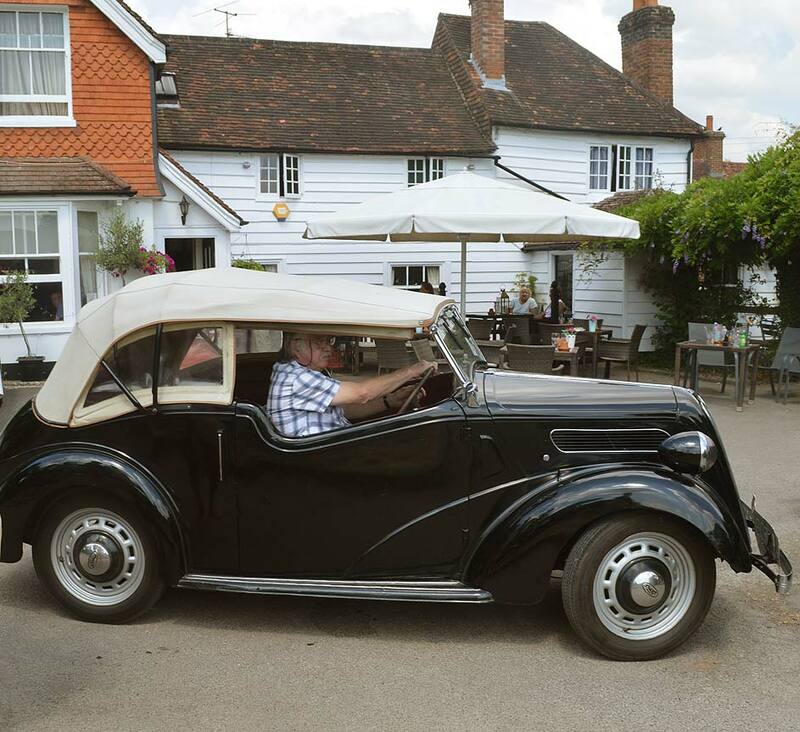 We mustered at The Plough pub in the village where the lovely landlady Sarah plied us all with complimentary jugs of Pimms and delicious sandwiches. 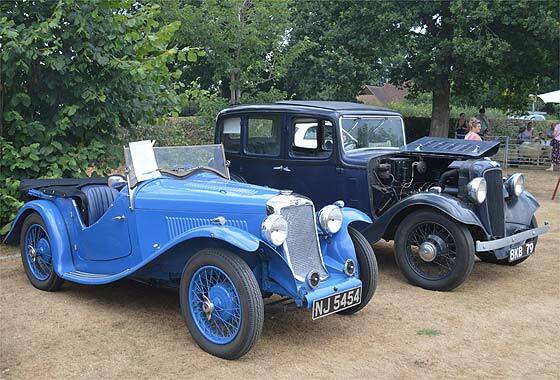 On a given signal we drove in a long convoy through the country lanes to the nearby village cricket green where each car was introduced to the enthusiastic visitors by the commentator. The parade then did a full circuit of the show ground before parking up in our well marked display area. 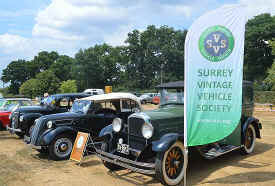 The SVVS sail flag was erected along with Mrs. Publicity Officers re cycled clothes dryer club sign. 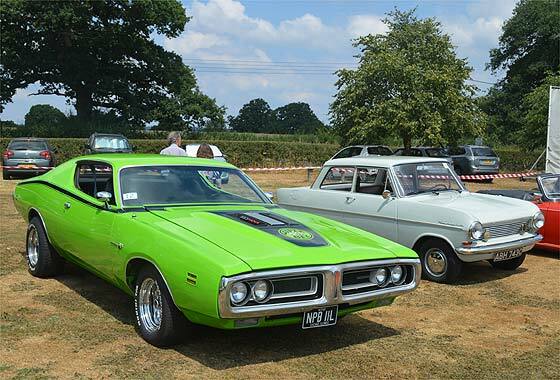 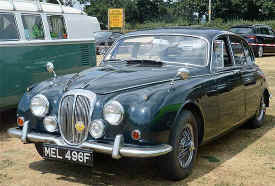 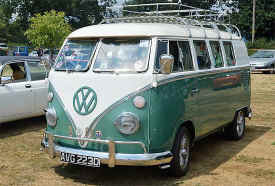 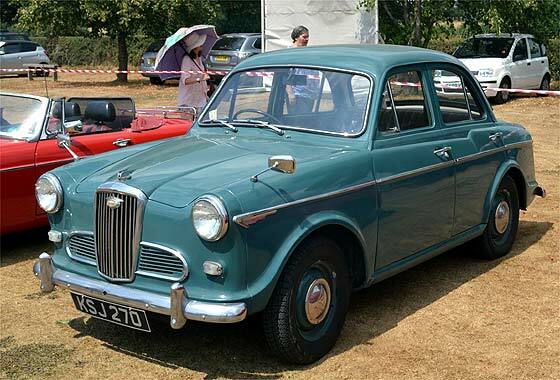 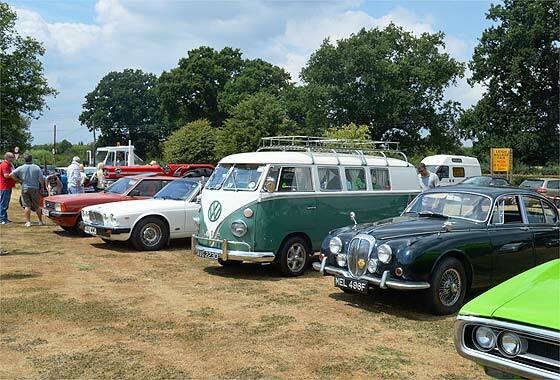 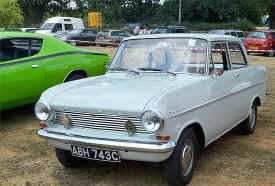 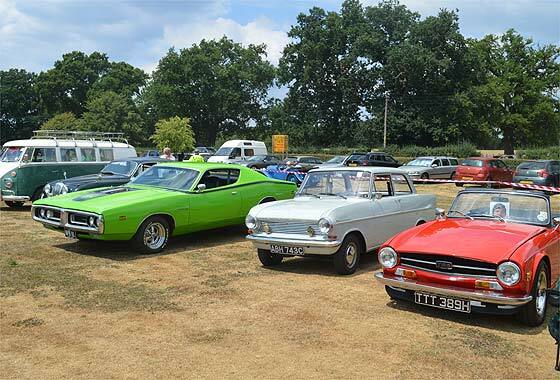 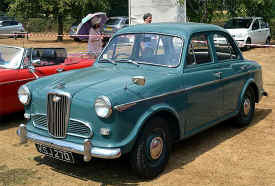 I am not going to reel off a long list of attendees, but here is a sample of some the excellent vehicles on display: Ford Cortina Mk 2, 1983 Jaguar XJ6, classic 1960's VW split screen camper van, 1968 Daimler 250 v8, 1971 Dodge Charger Super Bee', 1965 Opel Kadett, 1970 Triumph TR6, Ford E493a Prefect, Ford 103e Popular, a certain 1937 Ford 7W tourer, 1928 Studebaker, two lovely little Austin Seven, 1926 Bullnose Morris Cowley, 1904 Wolseley 6hp, MGB roadster, 1961 Wolseley 1500 saloon, two Morgan 4/4's, 1938 Morris 8 convertible, Triumph Spitfire Mk4, 1935 Hillman Minx Aero, the amazing Graham Capel Farm Cart Car, and a nice display of small WW2 military vehicles and their equipment.